Deemed as “America’s favorite drive” Blue Ridge Parkway offers an unparalleled experience, together with breathtaking visuals. 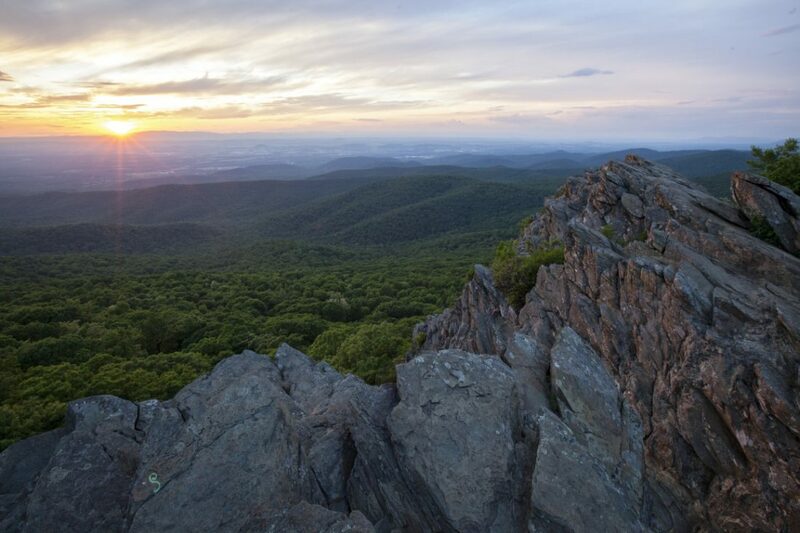 A casual, relaxing drive is boosted by captivating natural sights of the Appalachian Highlands. From jagged mountain peaks, to various art centers, here are 5 amazing places to visit in Blue Ridge Parkway. At the furthest, northern end of the Blue Ridge Parkway, lie the Humpback Rocks, one of the most iconic sights of the Parkway. A mix of natural and manmade resources, the area is rich with inspiring scenery, hiking trails, and historical heritage. In the 1840s it was used as a landmark for wagon trains, and early European settlers used it to gather various resources. Right next to it is an outdoor farm museum, surrounded with forests. The Museum has a single-room cabin, and holds events, demonstrating late 19th century lifestyle. Attracting tourists for more than 8,000 years, the Peaks of Otter are a truly spectacular jewel of nature. Surrounded by the Jefferson national forest, the area is home to the Peaks of Otter lodge, holding 63 rooms and a restaurant. Guests can stop by the Visitor Center for new information, enjoy camping and picnics in designated areas, and take hikes on any of the available 6 trails. A tour of the Blue RIdge Parkway is not complete without paying a visit to the site where the construction of the Parkway started. 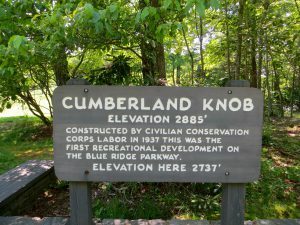 As the first area open for visitors, Cumberland Knob is still among the most popular destinations in the Parkway. Visitors can enjoy the company of region’s birds and wildlife, go for a casual walk to nearby Gully Creek, and take a snack at the picnic area. Internationally renown as an engineering marvel, this spectacular viaduct is located on Grandfather Mountain, and truly represents a sight to behold. A museum, maintained by the National Park Service is available to visitors, and they can also enjoy one of the hiking trails, which are connected to the Parkway’s trail grid. Art lovers will enjoy a visit to one of the Parkway’s art centres. For music lovers there is the Blue Ridge Music Center, a modern performance facility, made to celebrate the historic music of the Blue Ridge. This region contributed more bluegrass musicians per capita, than any other region in the country. Visitors will get to experience some of the interesting traditions through live performances, inside the 3,000 seat theater. The Folk Art Center is another great attraction, and it presents the finest traditional craft of the Southern Appalachians. Visitors can participate in annual events, browse through the bookstore, as well as shop for original, hand-made souvenirs. As one of the most visited parks in the nation, as well as the biggest, Blue Ridge Parkway is rich with breathtaking locations. The five mentioned in the article are certainly not everything that the Parkway has to offer, but rather representatives which will get you hooked to explore every single inch of this haven in the nature.